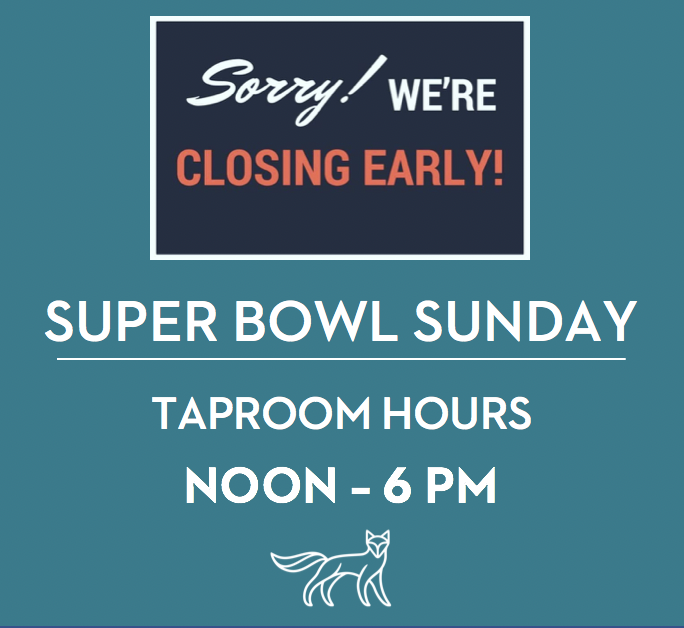 The Venn taproom will be open from Noon to 6PM on Super Bowl Sunday. Stop in for growlers or crowlers before your Big Game festivities! Also a heads up: no food truck.